Have you started planning your Thanksgiving pies and desserts? I know I want to host a Thanksgiving dessert buffet this year so I am busy thinking up a list of decadent sweet treats that I must make for my guests. Around here, it wouldn’t be Thanksgiving without a pumpkin pie so I plan on making my from scratch pumpkin pie recipe. It was such a hit a few weeks ago that my family demands two more. Wishes granted! I just love making pies so this works out for them. One of our favs happens to be pumpkin pie. 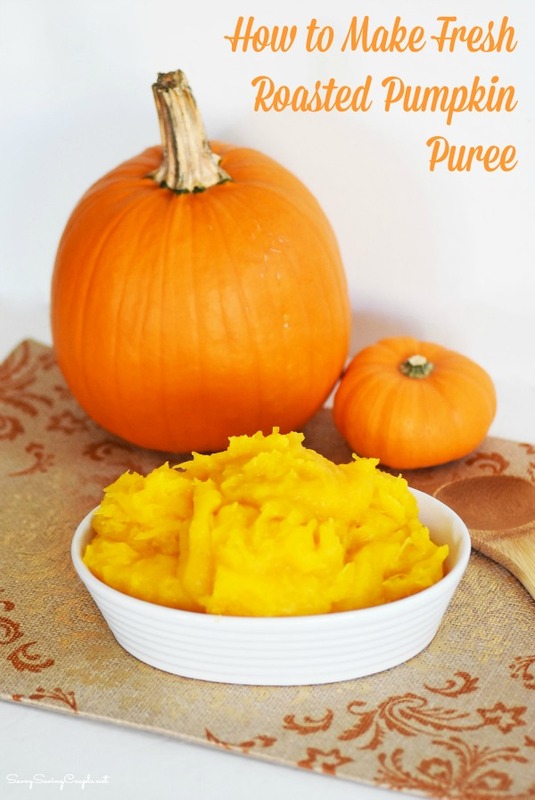 I love making my own pumpkin pie puree so I thought I would share my How to Make Homemade Pumpkin Puree DIY. Ok, so last week I posted how to roast a whole pumpkin in the oven. This post piggy backs off of that post. Believe it our not, that post produced a ton of chaos! I had to laugh at just how mad or annoyed people were that I roasted a whole pumpkin in the oven. My response= why not? It is so easy and you kill two birds with one stone by having your guts and seeds cooked too! My dog at the guts over a few days (healthy treat) and I had steamed, pre-cooked seeds for granola. Some people complain for everything, but until you do it, don’t fret folks! Of course you can cut it up etc. so do what works FOR YOU! So you can either follow the steps to Roasting a Whole Pumpkin in the Oven, or you can do this Two Step Pumpkin Pie Puree recipe where you roast the chunks. 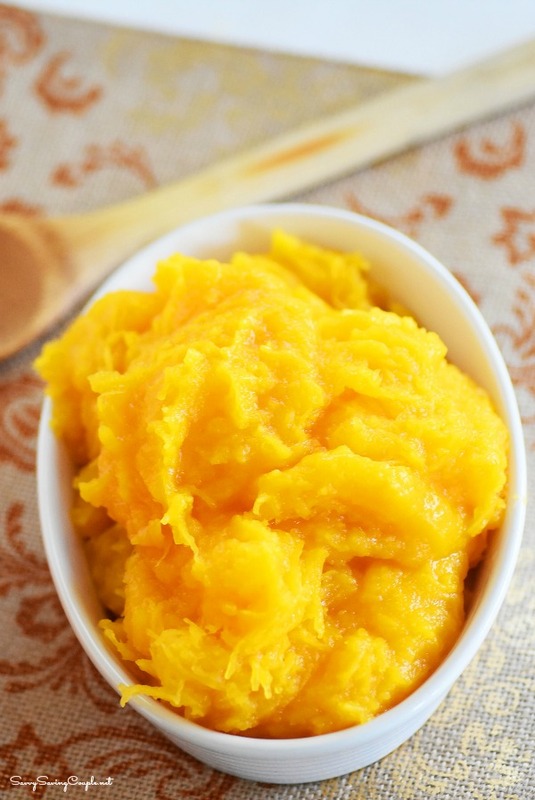 Basically, after your pumpkin meat is either roasted, or steamed you simply toss it in the food processor and get just the flesh (not the guts) pureed until smooth! I roasted a 5 lb sugar pumpkin and it produced something close to 6 cups of filling! That is a ton of pumpkin pies, or muffins!! Benefits of pureeing your own pumpkin is you can pretty much take advantage of the entire pumpkin. 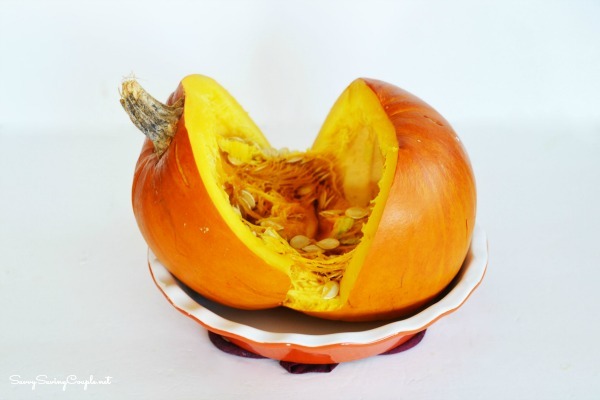 Depending on how to cook your pumpkin, you can roast the seeds, or use them in granola, or muffins. 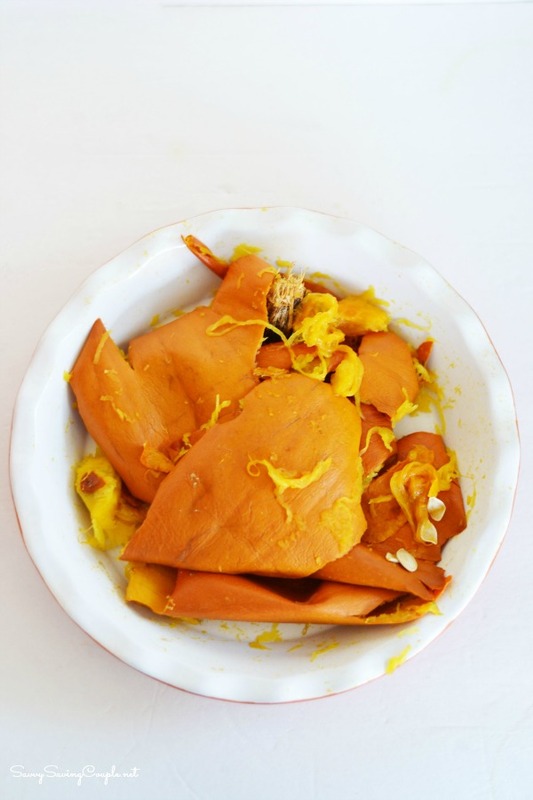 You can also feed your dog a small amount of cooked fleshy pumpkin guts each day because they are beneficial for them. Just toss the leftover skin, and stem in the compost pile for some super nutrients for your garden! 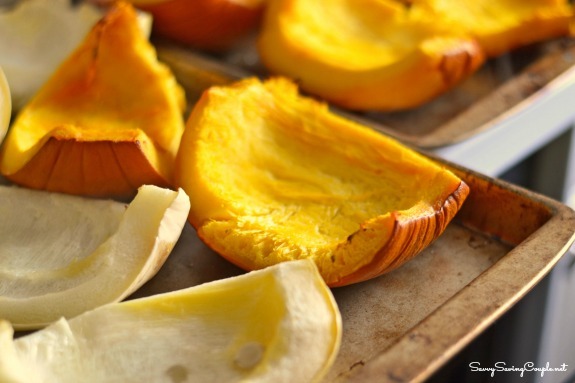 Personally, I love roasting the pumpkin cut because I like to season it and put a pat of butter on. I’m sure we can all agree that pumpkin any way it’s done is delicious! 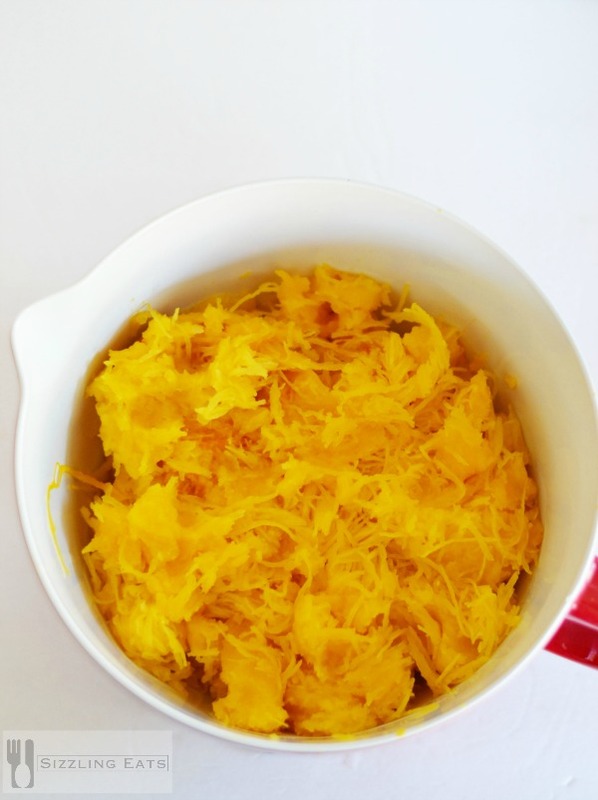 I’ve never made fresh pumpkin puree! In fact, I’ve never made puree period! It really is easy to make. Homemade is the way to go! I’ve never had a pumpkin puree, so I’m not sure whether I’d want to make it or not. Doesn’t look too difficult! I bet fresh pumpkin would make your pie taste better. Thanks for this.